Comment: Looking to replace and expand a small concrete parking pad that currently fits one car. Comment: Replacement of concrete for existing walkway. Comment: Replace existing wood steps with concrete steps for access to front door of home. 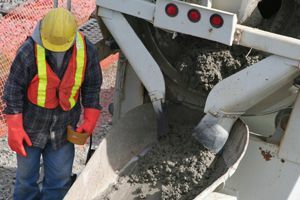 Washington Concrete Contractors are rated 4.73 out of 5 based on 319 reviews of 14 pros. Not Looking for Concrete Contractors in Washington, DC?